At AWS re:Invent 2018, the AWS Lambda team launched a bevy of features that set serverless fans atwitter. 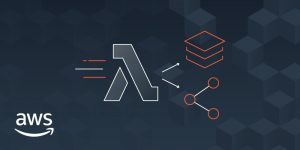 Two announcements in particular stood out to developers and AWS Partner Network (APN) Partners alike: Lambda Layers and the Lambda Runtime API. Lambda Layers enables you to centrally manage code and data that is shared across multiple functions. And the Lambda Runtime API provides a simple interface to use any programming language, or a specific language version, for developing your functions. APN Partners were integral to making these launches a success, providing both Layers and runtimes that help customers build on serverless. Lambda Layers allows you to put common components in a zip file and upload it as a Layer. Your function code doesn’t need to change and can reference the libraries in the layer. AWS Lambda Partners across security, monitoring, and application management offered their own Layers with AWS customers at launch. Protego offers the Protego Function Self Protection (FSP) module, which is inserted into functions to provide inline monitoring and defense, in concert with Protego’s learning backend. They leveraged layers for FSP insertion by moving all of their FSP code into a separate layer. And, using the new APIs, they enabled deploying a function with the additional layer so the original code package remains untouched. PureSec provides a layer that allows organizations to govern and enforce serverless security best practices, and to tightly integrate the PureSec serverless security platform into every serverless application, with zero additional operational overhead. Twistlock built their Defender layer to provide security controls, such as only allowing the genuine main process in the function to run and only allowing network connections to desired services and endpoints. Policies are configured in the Twistlock Console and audit results go back to the Console, as well as being stored in Amazon CloudWatch. Datadog offers an instrumentation layer for Python (version 2.7, 3.6, and 3.7). The Datadog instrumentation layer allows you to send custom metrics and events from your Lambda functions to Datadog more efficiently, enabling you to do things like instrument your functions to report metrics for actions such as customer logins, video plays, or completed purchases. Epsagon offers a layer that enables Epsagon distributed tracing, a simple way to monitor your serverless applications. Instead of installing the library for Epsagon’s automatic instrumentation, you can now just add the Epsagon layer (currently supporting both Python and Node.js) via the AWS console or CLI. IOpipe is an application operations platform that offers configurable and multi-dimensional alerting that can invoke Lambda functions. Layers makes it painless to audit which functions are running IOpipe and utilizing the latest version of IOpipe libraries. Updating the IOpipe libraries becomes as simple as an API call or updating your AWS CloudFormation stack. NodeSource offers low-impact monitoring for Node.js serverless functions using the N|Solid runtime, which is available for Lambda functions through Lambda Layers. N|Solid is designed to offer a high-definition view of the performance and behavior of Lambda functions. Users can install and run N|Solid in place of vanilla Node.js with no code changes or instrumentation. Thundra enables you to quickly pinpoint critical issues in your Lambda environment. Their layer simplifies monitoring set-up and installation, and you can monitor your Lambda functions using Thundra without any code change, dependency addition, or redeployment by adding the Thundra Lambda Layer externally to your AWS Lambda function. Serverless Framework enables developers to deploy serverless applications on any FaaS provider. They offer support for both publishing and using Lambda Layers with your functions with Version 1.34.0. Stackery integrated Lambda Layers into their service. In the Stackery function editor, you’ll see a list of all the layers in your account that you can apply to that function. By integrating Layers, the management and versioning of reusable libraries used by your functions is drastically simplified. With the Lambda Runtime API, you can select a custom runtime when creating or updating a function. You can also publish your own runtime or leverage runtimes others have already provided as Layers. The announcements at re:Invent and our APN Partners’ dedication in delivering new layers and runtimes certainly made a splash—their work helped ignite fellow serverless builders’ passions for providing a way to use their preferred programming languages with Lambda. The newest runtime to hit GitHub is provided by The Agile Monkeys. If you’re a Haskell developer, or even if you aren’t yet, you can now use the Haskell runtime built by the The Agile Monkeys team. Read more about the Haskell runtime.